You’ve probably already come across some form of live chat before. But if not, live chat is a software that enables a company to connect with customers in real-time on a website and answer any question or concern they have. A live chat function is usually found in the form of a small pop-up box somewhere on the bottom right of the screen. 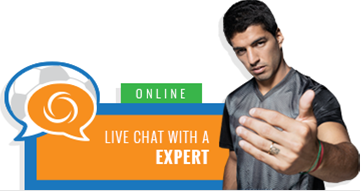 Clicking on the chat now button will enable you to speak to an agent who can help you with your questions or concerns. Once you fill a small survey, you will reach a familiar instant messenger window and receive a welcome message informing you of your number in the queue. Live chat support can be extremely useful for both e-commerce and service based websites, but they’re more commonly found on e-commerce sites. If you want to know how your business can benefit from live chat, we got you. Here are the top benefits of live chat software. Many people simply don’t have the time to make personal calls during their work hours, so having the luxury to use live chat on your website is one way to make it easy on them so they can reach out to you. If a customer has a question while shopping or entering the checkout or wants to know more about the product you are offering before they make the purchase, you can address this right away and avoid losing a paying customer. Do your competitors use live chat? If not, now could be a great time for you to start using live chat and get ahead of them. Ensure your company is ahead of its competitors by installing a live chat software on your website. Live chat could help you retain customers. Happy and loyal customers will always come back to the company they trust. If you provide your customers with useful information on things such as the status of their order, return policy and handling complaints, they will always come back. Your customer service team can handle multiple tasks at once, improving efficiency as well as reducing waiting time for your customers. The Truth About Live Chat! The statistics surrounding live chat don’t lie. Online customers say that having questions answered by a live agent in the middle of the shopping is one of the most important features a website can have. Those who use live chat while making a purchase are also more likely to come back since they are happy with their purchase. Also, live chat has the highest satisfaction level of any customer service channel. Much better than phone and email. There is a lot of live chat software available today, and most of them offer a free trial so you can use it to see if you like it. If you are interested in live chat software, please contact us today.